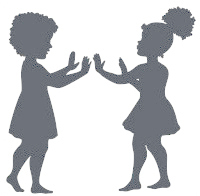 In a society where iphones and selfies seem to rule, it may seem like forever ago that hand-clapping games ruled the playgrounds. But they actually still do! 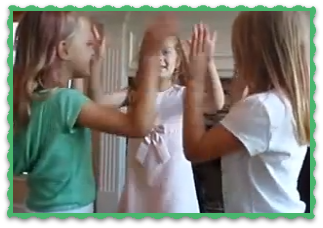 Children from around the world love hand clapping games!! 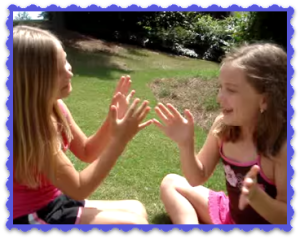 FunClapping.com is here to bring you lots of the classics, along with the words and motions and introduce you to the songs and games played around the world! We hope this site triggers wonderful memories of your own fun days at recess and inspires you to try new games and different versions of old classics. kids play around the world! Their laughter is infectious!! – perhaps that’s what makes them so fun. Another great one to try is the cup game. where each person passes down the cip to the next player. If you lose the rhythm at your turn, you’re out! Fun to play at any age! Ever heard of Eenie Meanie Sassaleeny? Take a moment and send us a note with your favorites!